What's The Point Of A Dashcam? There was a time when only emergency responders had dashcams, but the technology is now available to all drivers. Prestige Lexus of Middletown wants drivers to get the most out of their vehicle, and that includes accessories like your dashcam. So, why do you need a dashcam? Dashcams are great in the event of an accident, but they serve other purposes as well. Do you have an epic road trip planned? Use your dashcam to record your journey. You might not be able to remember the name of that amazing roadside restaurant you stopped at, but your dashcam does. Despite the desire to downsize vehicles to save money, many drivers are now choosing to buy an SUV, and at Prestige Lexus of Middletown we want you to make an informed decision when it’s time to choose your next vehicle. There are so many reasons why drivers are now choosing an SUV, and here are just a few. • SUVs get good gas mileage despite their larger size. 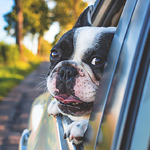 • SUVs are the ideal vehicle for transporting your dog or other pets. • SUVs are large enough to efficiently hold up to 9 passengers. What is a Backup Camera and What is it For? Backup cameras are becoming the norm. This is especially true after a recent federal law requiring that all cars weighing under 10,000 pounds have some type of rearview assistance technology. As an experienced Prestige Lexus of Middletown, it is our job to keep buyers informed because that makes you a smarter customer. What is a Backup Camera? The backup camera has become as important as your rearview mirrors. This is because it allows you to see behind your car more clearly, expanding your view and eliminating blind spots. 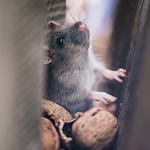 Rodent damage can be cosmetic in nature, or rodents can cause some pretty devastating damage to the wires and interior components of your vehicle. If you are looking to prevent rodent damage in and on your vehicle, here are some simple tips that can be helpful. There are some products that are designed specifically to keep rodents out of your vehicle. There are mesh coverings that can be installed under your hood to protect your engine compartment. There are also rodent repelling tape products that you can adhere to cracks and crevices in your vehicle. At Prestige Lexus of Middletown, we want you to know how important it is to keep your windshield free from debris. This is true whether you are driving in the summer or the winter. If you happen to be driving in Middletown during the colder months, it is important to have winter windshield wiper blades. Having the right tires on your car or truck can increase its performance and help keep you safe in snowy driving conditions. 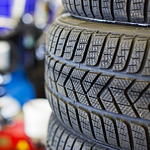 At Prestige Lexus of Middletown, we're happy to offer advice on the right tires for your vehicle, and we can swap your tires as the seasons change throughout the year. If you have a dog in your life, you want to do what you can to help him ride comfortably around in your vehicle. Prestige Lexus of Middletown is here to help you understand what you need to look for as you are seeking out a pet-friendly vehicle to purchase and drive. Having a basic understanding of how your car functions can help to make you a better car owner by aiding you in recognizing minor problems before they become major issues. You can also get the most of your car by understanding how to make it work more efficiently. There are ways that the weather will affect your vehicle and mess with your driving abilities. It is important for you to know how to care for your vehicle in the winter months and how to stay safe on the road when the weather is cold. 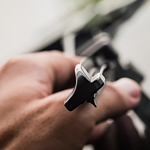 Knowing the procedure on how to change a flat tire on your car will ensure your safety and get you moving along in less time. 1. Move the vehicle while on the rim if needed to get safely out of the way of traffic. 2. 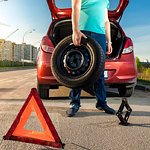 Loosen the lugs on the flat tire one turn before jacking up the vehicle. 3. Jack the vehicle high enough so the flat tire no longer is touching the road. 4. Remove all of the lugs, then the flat tire, and set them aside.